Dozens at JSU Day at the Capitol on Thursday were delighted the state Senate recently passed an $8.5 million bond bill to renovate Stewart Hall and that action is planned to offset a decrease in Ayers funding and add HBCU representation on the College Board of the Institutions of Higher Learning (IHL). 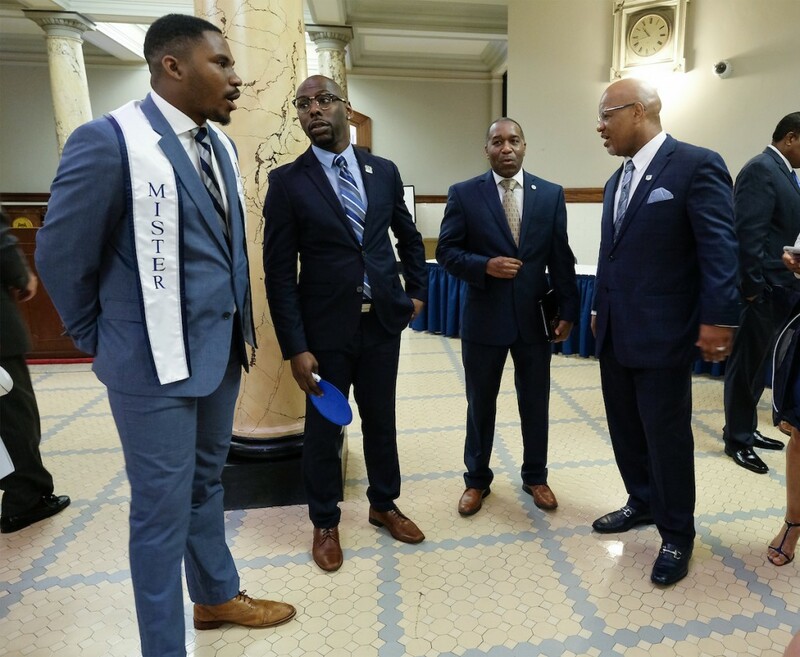 Several state Democratic and Republican lawmakers met with Jackson State University President William B. Bynum Jr. at the event organized by the Jackson State University National Alumni Association (JSUNAA). Elected officials assured Bynum of their support of the urban institution’s legislative agenda. Some legislators also mentioned the four impending vacancies on the College Board and have petitioned Gov. Phil Bryant on JSU’s behalf. Yolanda Owens, president of the JSUNAA, was eager to put JSU in the spotlight. “We knew we needed to get back to the Capitol after not having this event for a couple years. 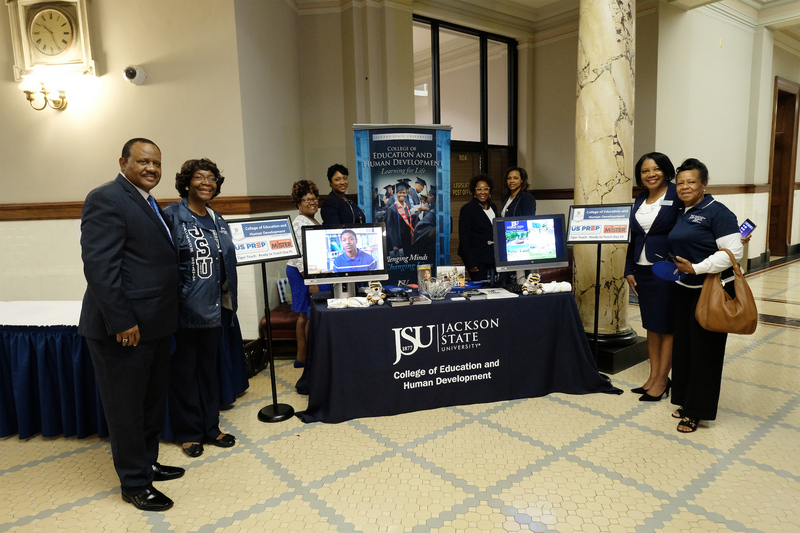 So, we were excited to be part of revitalizing JSU Day at the Capitol. We got a chance to speak to several senators and representatives. Everyone was supportive that we’re here,” Owens said. FURTHERMORE, Owens said, “We know housing is a major issue, and there are four openings coming up on the IHL board. We are working diligently to make sure that at least one of the public HBCUs in the state is represented on the board. 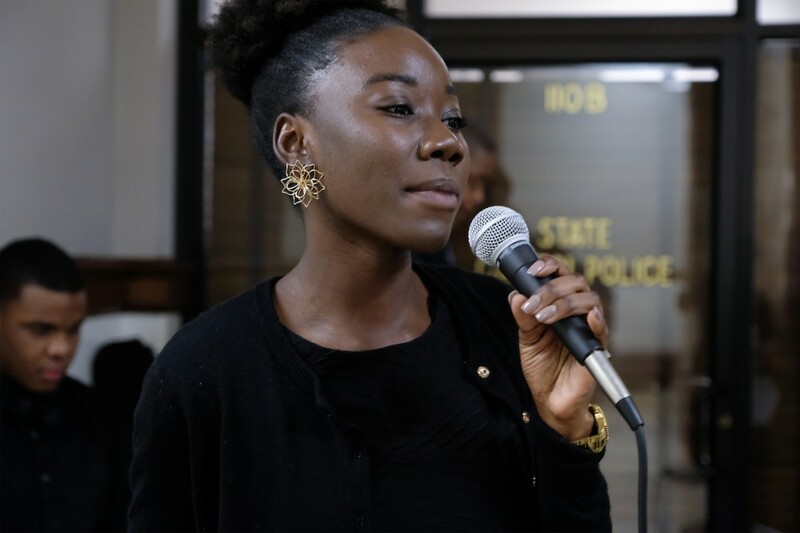 … We are working with our legislators and the political action team with the alumni association to make sure we have viable candidates that we can present to the governor,” she said. $3.28 million is being requested to sustain staffing and operations for the School of Public Health, including a partnership with the University of Mississippi Medical Center and other health-care entities to combat health threats. $8.5 million is sought for Stewart Hall renovation that when completed will provide 190 additional spaces for males on campus. Quoting research, JSU says this is especially important because students who reside on campus are far more likely to graduate than those who live off campus. $12.5 million is eyed for expanding the College of Education and Human Development into Jackson Public Schools and throughout the state. JSU seeks to modernize and expand into a state-of-the-art facility for its 2,500 majors. GOP state Sen. Joey Fillingane, chair of the Finance Committee, confirmed passage of the $8.5 million bond bill for Stewart Hall and other appropriation. Democratic state Sen. David Blount, chairman of the Senate Public Property Committee, explained the financial quagmire that JSU faces. AS property chairman, Blount said he’s especially interested in structural buildings on all college campuses. “I’m on Jackson State’s campus regularly, and the Stewart Hall project is in the bond bill that passed the Senate. … The bill does include money for Stewart Hall,” he said. 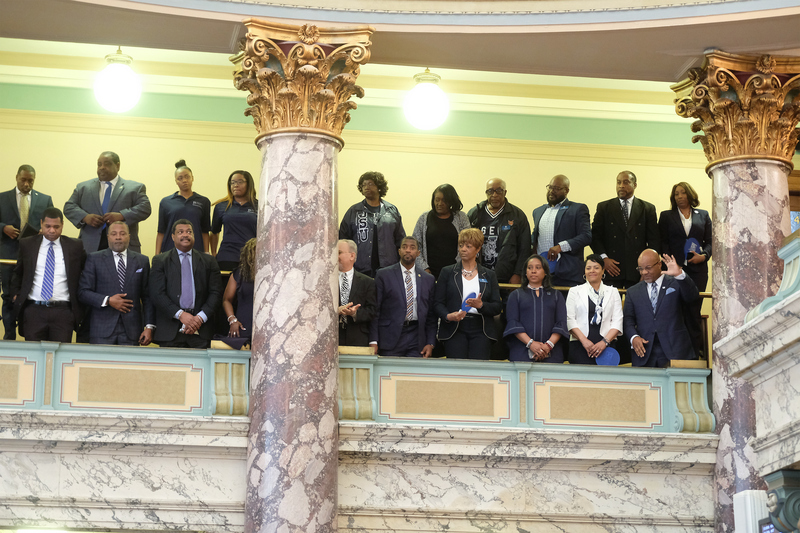 The issue of HBCU representation on the IHL College Board has widespread support from the Black Legislative Caucus and bipartisan endorsement from colleagues in both chambers. Democratic state Rep. Christopher Bell, another JSU alum, echoed sentiments about the importance of JSU’s success. Bell was among several African-American state Democratic lawmakers who addressed Bynum, JSU alum and other supporters. Sen. Sollie B. Norwood, Sen. Derrick Simmons and Rep. Angela Cockerham all vowed to continue being strong advocates for their alma mater. They also plan to nudge Bryant as JSU seeks IHL board representation. 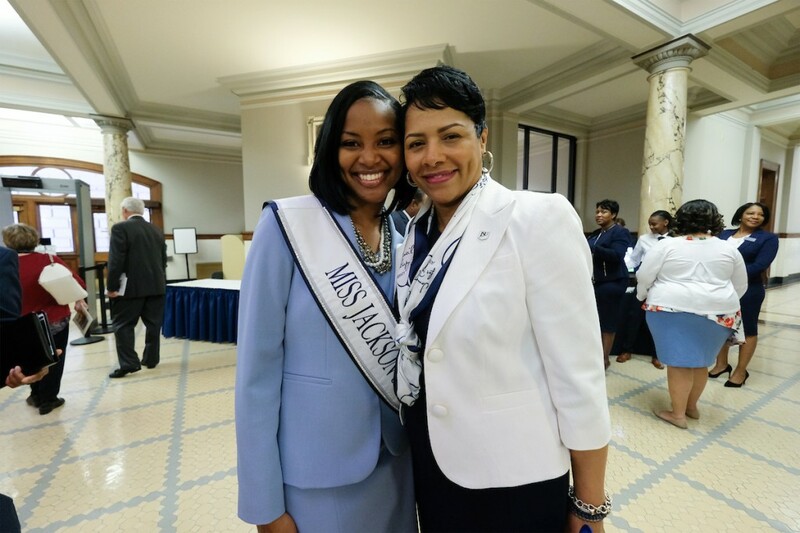 VERONICA Cohen, vice president of JSU’s Institutional Advancement and External Affairs, knows the relevance of Jackson State as an urban research institution. She said it’s vital that supporters show up in force at the state Capitol. Although the path ahead isn’t easy, she expresses strong optimism about JSU’s lobbying efforts. “We’re getting ready to step down from Ayers funding, so we have to petition the legislators that we need to cover those funds … and we’re looking for funds to renovate one of our residential halls,” Cohen said. Also, Cohen said several JSU faculty, staff and students showcased their respective areas. The groups were Alumni Relations; School of Public Health; College of Education and Human Development; and College of Science, Engineering and Technology. As well, the JSU Jazz Ensemble performed. Jerry Zigler, a 2007 graduate of JSU, is a southeast region board member for JSUNAA. He’s also president of the Metro Charlotte Alumni Chapter. The visit to the state Capitol was a first for him. “It’s really been a good experience to hear from some of the senators and learn of their support of Jackson State University. I would like to see all alums get involved on a local and national level and stay actively engaged with the university. By doing so, alumni will always know what’s going on and how they can be of help to the university or local chapter. SHAW raised a question to one of the lawmakers about student testing in Mississippi, wondering whether Mississippi studies data from other states for the best approach to measuring students’ aptitude. He noted that testing in Texas, for example, shows different results than Mississippi. “Texas exposes students to subjects earlier than Mississippi,” he said. Harkins confirmed that while Mississippi studies data from counterparts, he believes the Magnolia state has performed well by pushing up graduation rates to the national level and helping third-graders improve their reading skills. 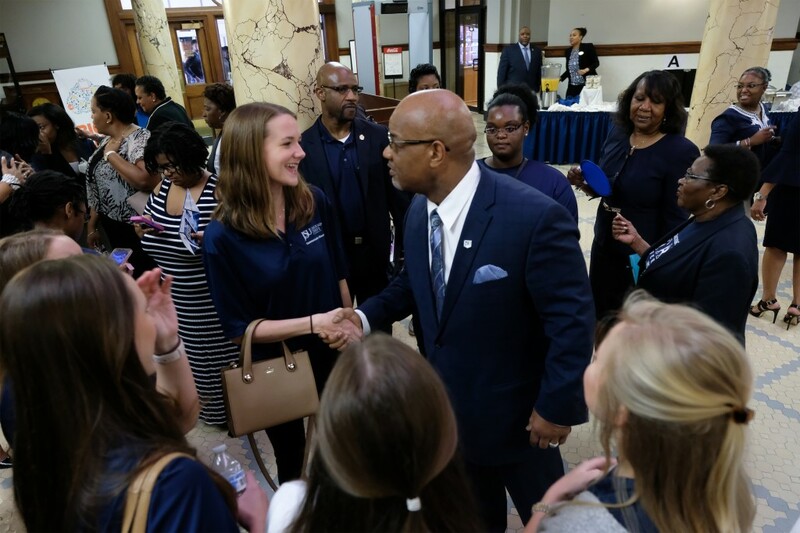 After the huge JSU display, JSUNAA’s Owens thanked administrators, students, alumni, faculty, staff and friends for supporting JSU Day at the Capitol. “We all came together for one purpose, and that’s our love for Jackson State. 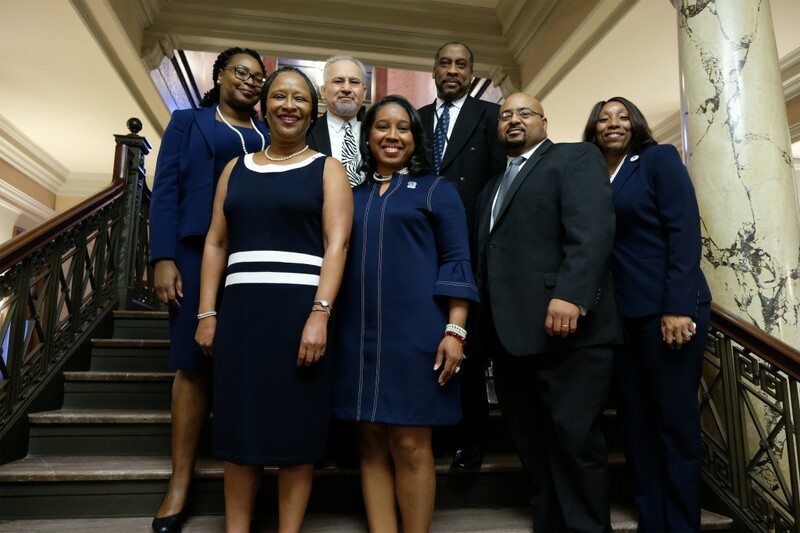 The best is yet to come for Jackson State,” she said. 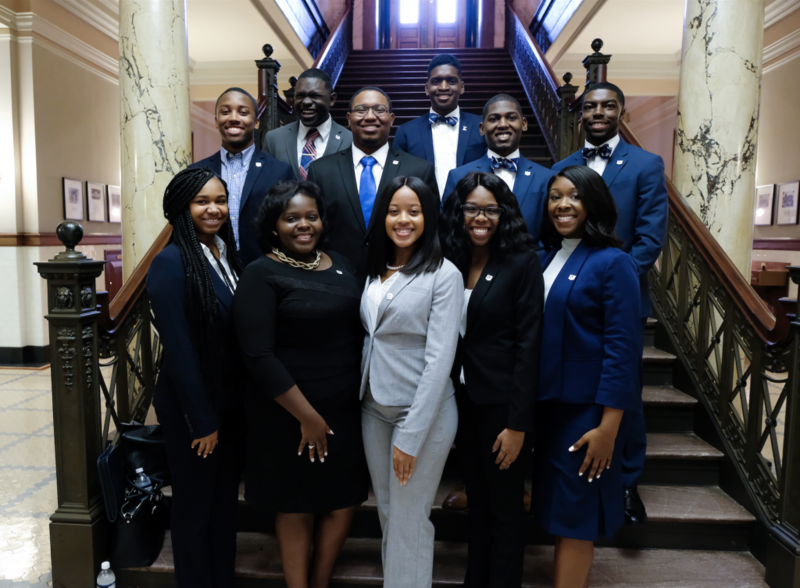 Tags: JSU Day at the Capitolstate lawmakersWilliam B. Bynum Jr.